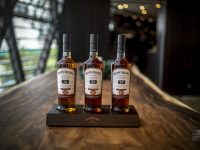 May 2019 is a month of cocktails and you will come across opportunities with Four Pillars Gin. 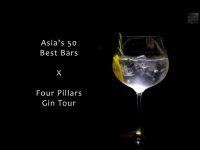 Take the Asia’s 50 Best Bars x Four Pillars Gin Tour. 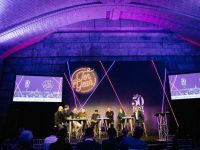 The World’s 50 Best Bars celebrated its 10th anniversary in New York City. Legendary bartenders and bar owners from the list’s No. 1 were brought together for a series of inspirational talks. 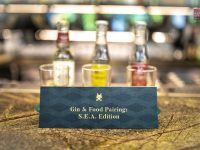 CIN CIN organises intimate Gin & Food Pairing – S.E. 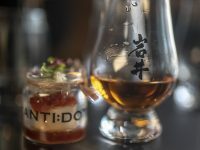 A. edition session Monday to Wednesday that lets you try three types of gin paired with Asian dishes. Mount Gay’s first release from the Master Blender Collection, XO The Peat Smoke Expression, is finished in peated whisky casks. Tess Bar & Kitchen knows value-for-money. 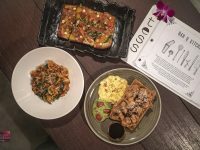 Order as much as you like from their Saturday brunch menu for S$30. 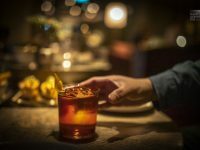 Add S$30 for free flow cocktails. MO BAR Singapore – Afternoon Tea or Cocktails? 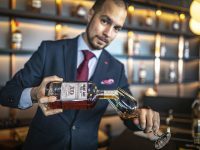 MO BAR at Mandarin Oriental, Singapore opened its doors in October 2018 after a massive transformation. We check out their Afternoon Tea and Cocktails. Raffles Hotel Singapore’s Long Bar opened in September this year. 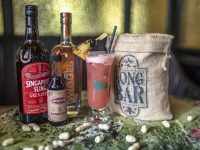 The Long Bar’s Original Singapore Sling is back with a refreshed recipe. In the spirit of Christmas? Here’s some gift tips for the festive season. 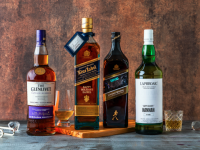 The Bowmore Vintner’s Trilogy features a collection of single malt whiskies in a wine-inspired cask series.